Sally Burnaby's senior year in high school starts badly, but ends up as exciting as any girl could wish! After arriving home from a wonderful summer vacation, Sally is upset to learn that her best friend, Kate, is going away to boarding school. Then Scotty starts dating a new girl, leaving Sally without a steady date for dances, parties, and football games. Much is happening in the Burnaby family home on Juniper Lane as well - with Mother and Dad, sophomore Jean, grade school Ricky, pigtailed Betsy, and little Jimmy. Among many choices and decision, Sally has to choose new friends, decide how to react to relationships and parties that get out of hand, and face a family financial setback. In the midst of this eventful year, Sally has to try to make up her mind what sort of person she really is. 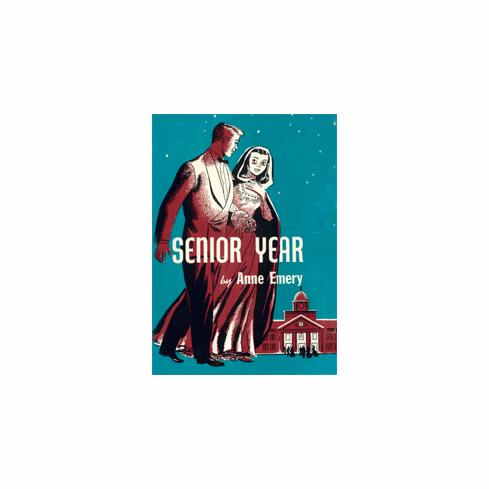 A fun, tender, and familiar story of how it feels to be a high school girl in the 1940s & 1950s! Also now you can order the eBook on Amazon! Anne Emery’s Senior Year! Now on Amazon Kindle in eBook! Copyright © 1999-2019 Image Cascade Publishing. All Rights Reserved.